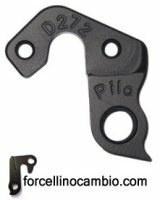 Derailleur hanger for Scott bicycles shop on line. Scott Addict Team 2010 derailleur hanger 6061 T651, made with CNC technology. Black anodized. Lighter and more durable than the hanger series. Scott 29 Comp anno 2011 - 2013 derailleur hanger 6061 T651, made with CNC technology. Black anodized. Lighter and more durable than the hanger series. 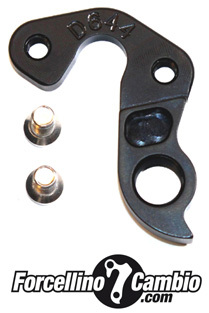 Scott 29" Tour 2012 - 2013 derailleur hanger 6061 T651, made with CNC technology. Black anodized. Lighter and more durable than the hanger series. 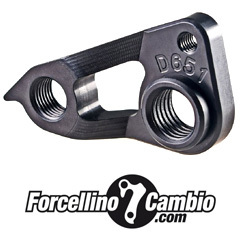 Addict 10 2015 derailleur hanger 6061 T651, made with CNC technology. Black anodized. Lighter and more durable than the hanger series. Scott Addict 20 Disc 2017 derailleur hanger 6061 T651, made with CNC technology. Black anodized. Lighter and more durable than the hanger series. Scott Addict 30 Disc 2018 derailleur hanger 6061 T651, made with CNC technology. Black anodized. Lighter and more durable than the hanger series. Scott Addict Premium Disc 2017 derailleur hanger 6061 T651, made with CNC technology. Black anodized. Lighter and more durable than the hanger series. 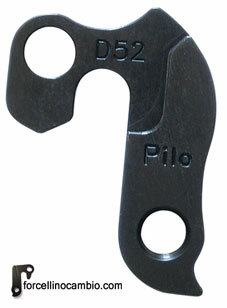 Addict R1 2011 derailleur hanger 6061 T651, made with CNC technology. Black anodized. Lighter and more durable than the hanger series.